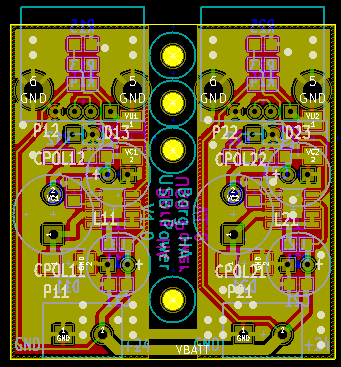 The borg home automation project is a collection of PCBs including software for controlling everything in a house. This includes lights, fans, power sockets, water pumps, etc. 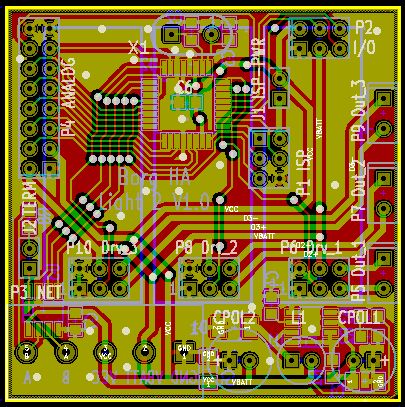 Every board contains an AVR microcontroller, an ISP connector, RS485 interface and a 24V/5V DC/DC converter. 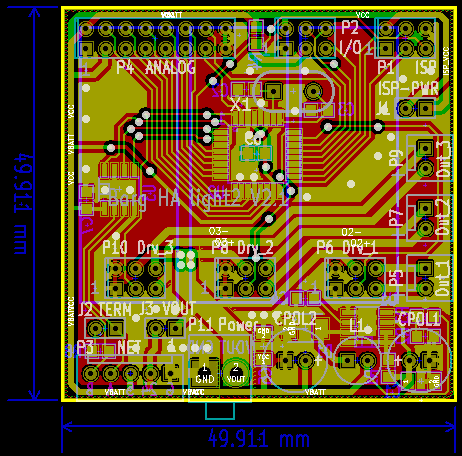 The user interface PCB. 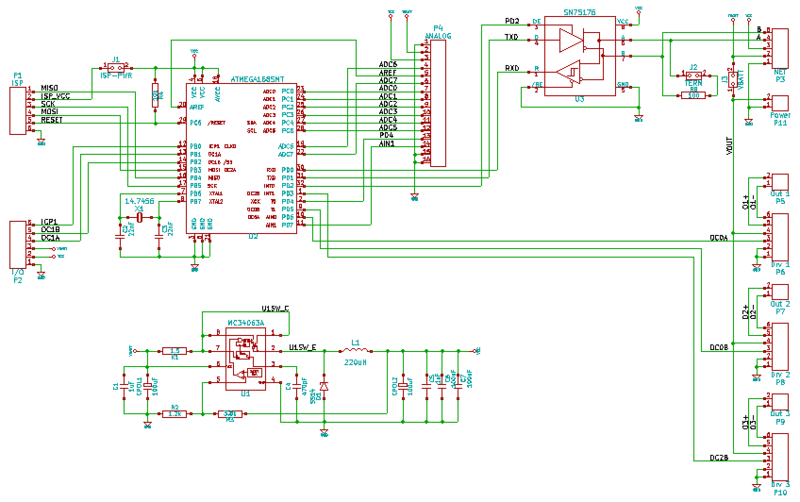 Next to the standard wires there is only a connector for buttons and LEDs and a connector for a 24V/5V DC/DC converter module. 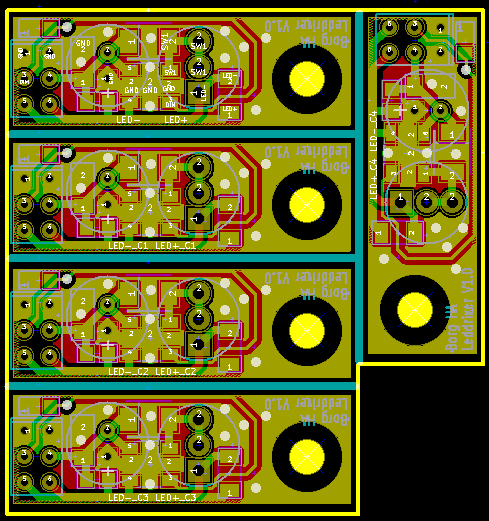 The light PCB. 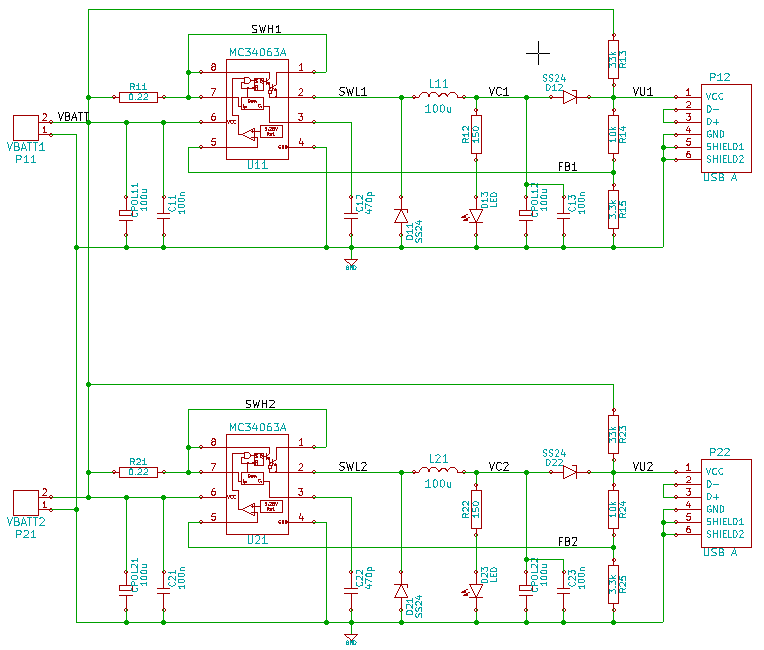 Contains a 24V/5V DC/DC converter and 3 LED current sources. This PCB has been canceled. 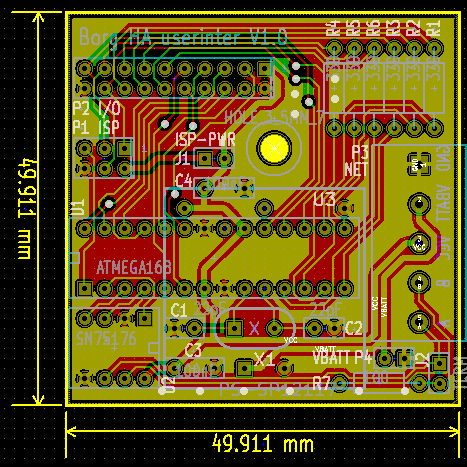 Maybe it will be resurrected with only one LED driver and smaller PCB size. 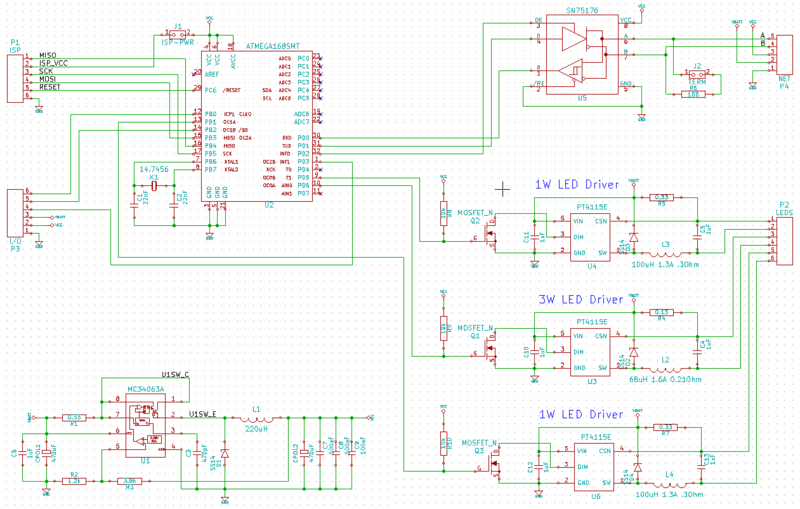 LED driver PCB with PT4115. Panelized PCB containing 5 complete circuits. 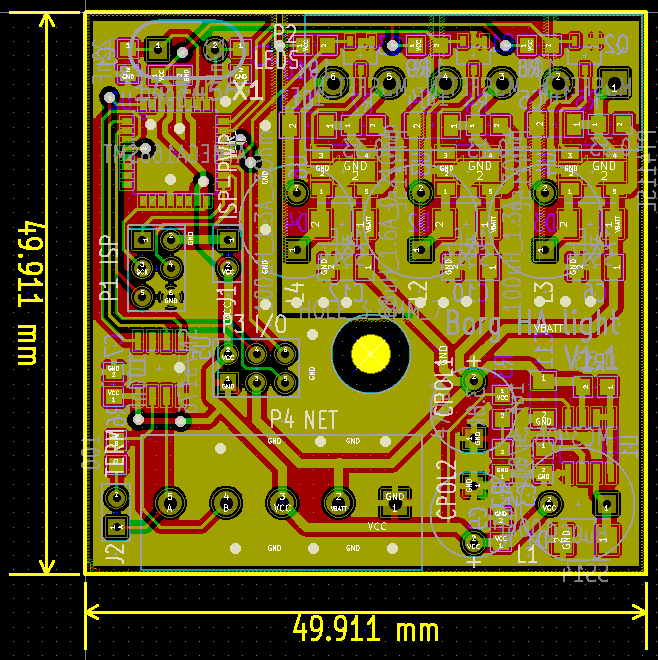 Second variant of the light PCB. 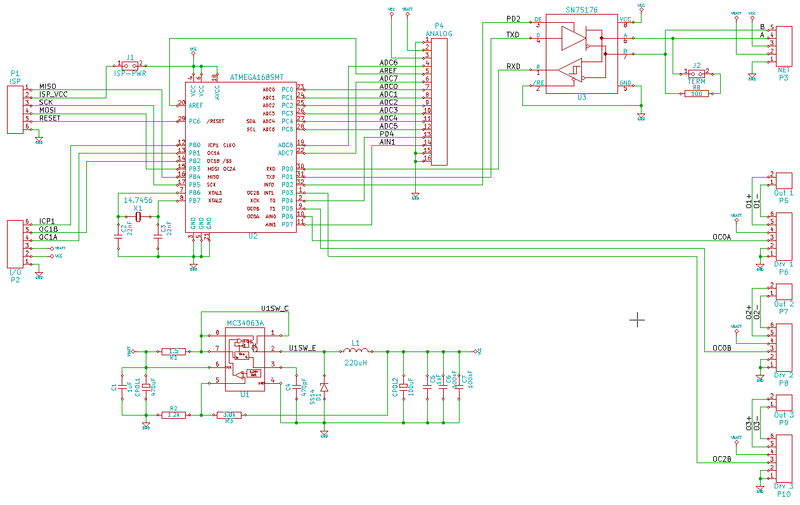 Next to the usual parts it contains 3 conectors for LED drivers or compatible boards, an I/O connector for 230VAC dimmers or fan control, and an analog connector for measuring analog signals. Replaced the screw terminals by a 5 pin connector. Added a 2 pin connector for output voltage. This make it possible to have a different voltage on the 3 drivers and outputs than the battery voltage used to supply the logic. A jumper to connect Vbatt and Vout. A pullup for the reset line. Replaced the output connectors with 2.54mm versions. 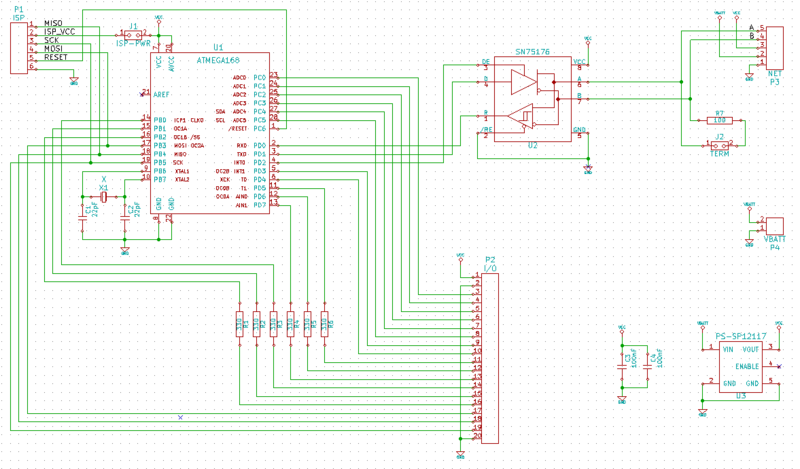 Moved analog, I/O and ISP connectors to the upper border so installed LED driver boards will not cover them. 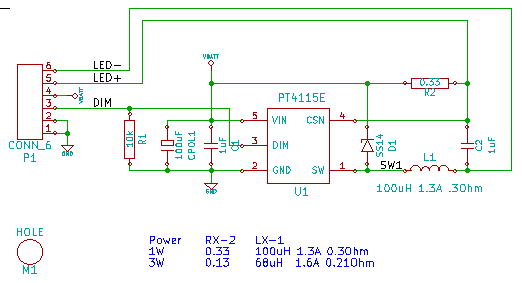 USB Power is a PCB providing 5V and up to 680mA to two USB sockets. Some reference texts are placed on pads or below components.